FANTASTIC SALE in Fredericksburg !!! 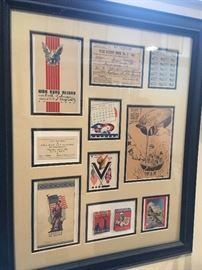 AddressThe address for this sale in Fredericksburg, VA 22408 will be available after 9:00am on Thursday, May 16th, 2019. 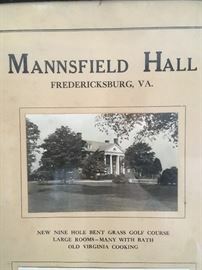 Antique Framed Pictures of Mannsfield Hall, Fredericksburg, Va. 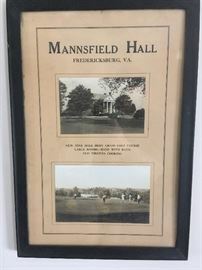 Antique Framed Picture of Mannsfield Hall, Fredericksburg, Va. 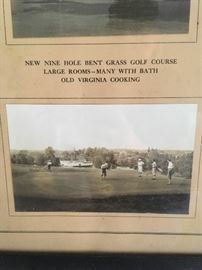 Antique Framed Picture of Mannsfield Hall, Golf Course, Steamboat,Fredericksburg, Va. 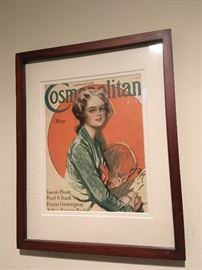 Antique Framed Harrison Fisher Cover of Cosmopolitan. WFVA 1230 Fredericksburg,Va. 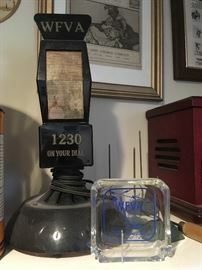 Antique Microphone & Ashtray. Antique Boxes,Jars, Books,Pottery & Glassware. Antique Butter Churn, Antique Victrola, Antique Boxes & Crocks, Antique Lighting Rod, Antique Scale with Original Box. 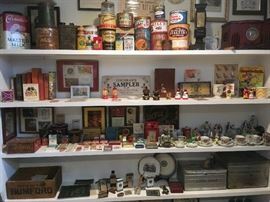 Antique & Vintage Cola Cola, Pepsi & Other Soda Collectibles. 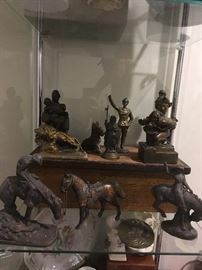 Antique Black Dolls , Figurines & other Memorabilia. Antique Chalkware (Carnival ) Antique Lanterns, Antique Barrel & More! 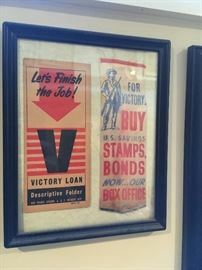 WW11 World War Two, Framed Poster for Ration Stamps. Antique Linen Chesterfield Sign, Antique Rug Beaters, Antique Rattan Chairs, Antique Lawyers Display Cabinet, Antique Sad Irons, & More!!! 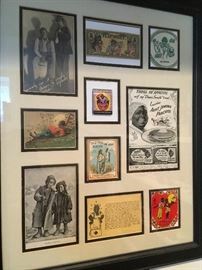 Antique Framed Cream of Wheat Ads, Antique Cast Iron Cornbread Pan, Antique Rug Beater. Antique Block & Tackle, Antique wooden shoe molds, Antique Jars,Antique Crocks, Antique Bells. Antique Painted Metal Farmers Creamery Milk Box with Bottles & Original Advertising Sign! Antique Printers Tray with Small Collectibles, Antique Washboards. 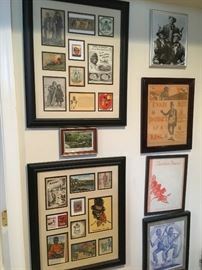 Antique Tin Royal Crown Cola Sign, Framed Phillip Morris Framed Ads. Antique Framed France Postal Bag. WW1 World War One. In Honor of the employees of The American Tobacco Company lost from the Fredericksburg, Va, area. Antique Lithograph of Robert E. Lee. Photograph Original Free Lance Star Building, Origianl Print Blocks for the Daily Star & the Free Lance Star!!! Fredericksburg, Va, Area Military Camp Photograph. Early 1900's Metal Frame for Goolrick's Modern Pharmacy Menu , Fredericksburg, Va. Antique Advertising Gorilla for Local Fredericksburg , Va.Shoe Store. Was displayed in window! 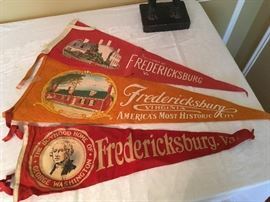 1875 Town of Fredericksburg, Va. Stock signed by Mayor Caldwell. Framed Harrison Fisher Cosmopolitan Cover.